The starting point of most tours and excursions in the Carpathians is the town of Yaremche, that is why it is better to start your holidays in the Carpathians there. You can spend the time between tours and hikes in our luxury 4 star hotel Romantic Spa, with unique thermal pools, SPA area with saunas, salt grotto, ice room and unique beer steam room. 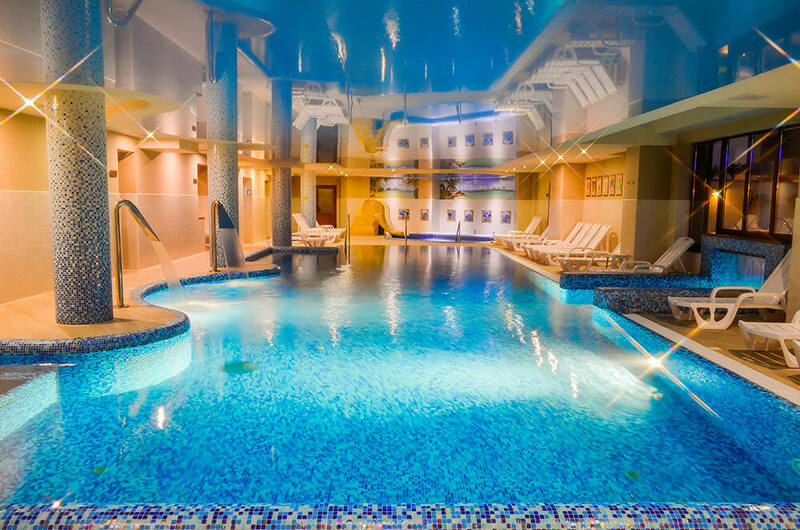 Everyone can take advantage of the services of spa area and thermal pools for certain fee and the guests of the hotel are offered them for free. These procedures are excellent to help you relax after hiking. The hotel provides services of babysitting, playgrounds, buffet, restaurant, bar, bike and ATV rental, it is also worth noting that children under 9 years stay at the hotel for free. The nature of the Carpathians is worth seeing. However, hiking requires good physical preparation that is not a thing all urban residents can boast about. 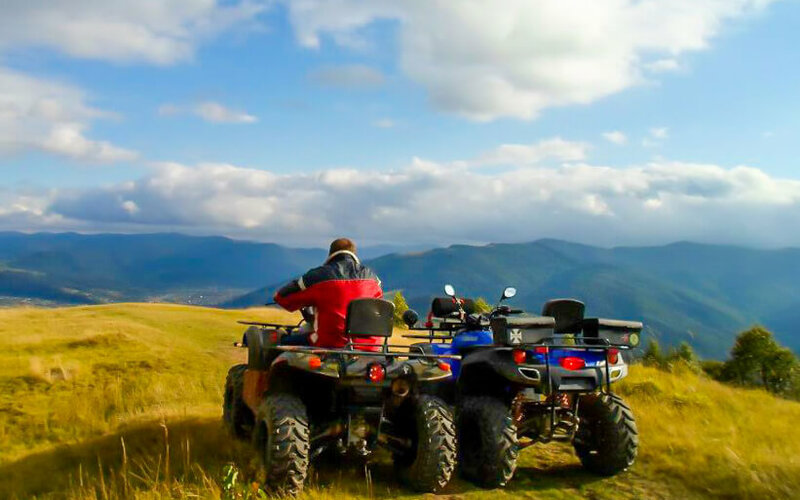 In order a mountain tour does not become a testing, use a popular offer nowadays – ATV tour. 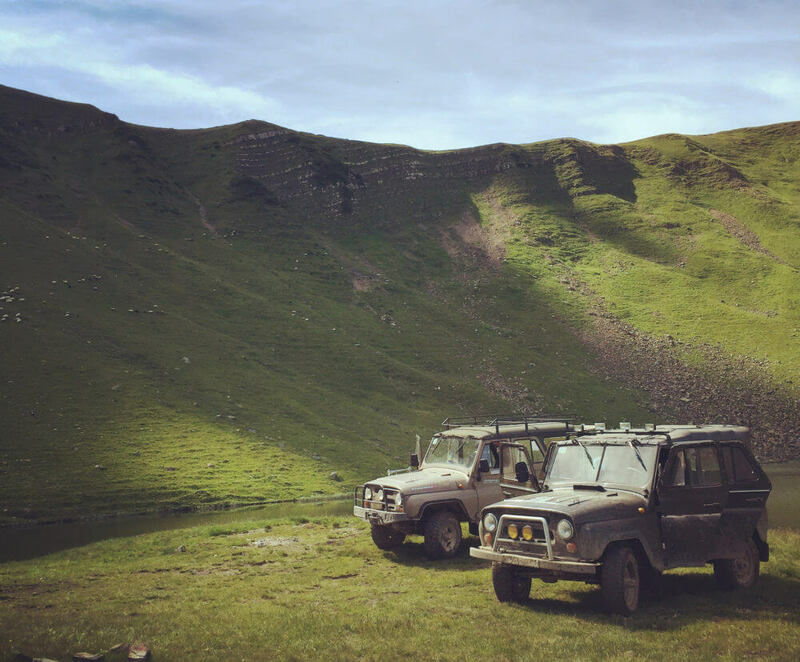 Incredible adventures are waiting for you: in a short period of time (there are one day and two days tours) you will see plenty of amazing places, overcome steep descents and ascents, passes and ridges. All tours begin with a detailed briefing and are absolutely safe. If you are staying in Yaremche you should certainly visit the waterfall Guk. 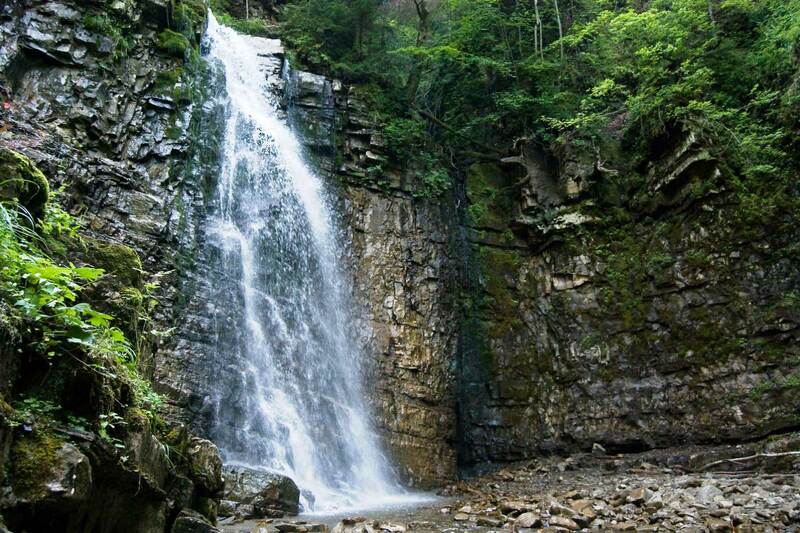 You will have to overcome the 5 km walk to get to it but the result is worth it: clear stream of water falling from 15 meter height, giving a loud roar. Near the waterfall there are some equipped gazeboes where you can have a snack while admiring the scenery and then bathe in its cool falling waters. It is a place famous for its ski resort. However, there are some opportunities for summer recreation here. A few years ago there was completed the construction of an artificial lake with the depth of about 9 meters and length of about 750 meters. One should keep in mind that the entrance to the lake is fee-paying and Bukovel itself is an expensive resort. The water in the lake is very cold so one will not stay in the lake for a long time (The lake water is very cold, so sitting in water for a long time will not be possible). 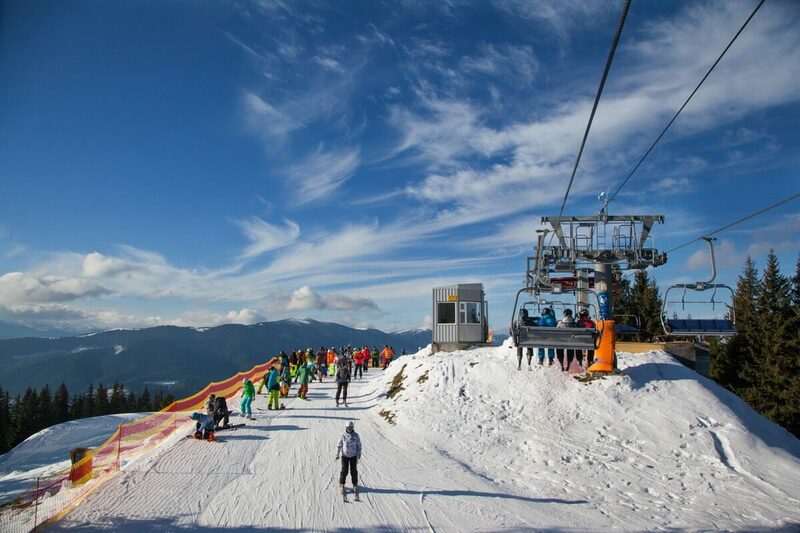 If desired, you can ascend by cable car and dine admiring views of the mountain landscape. 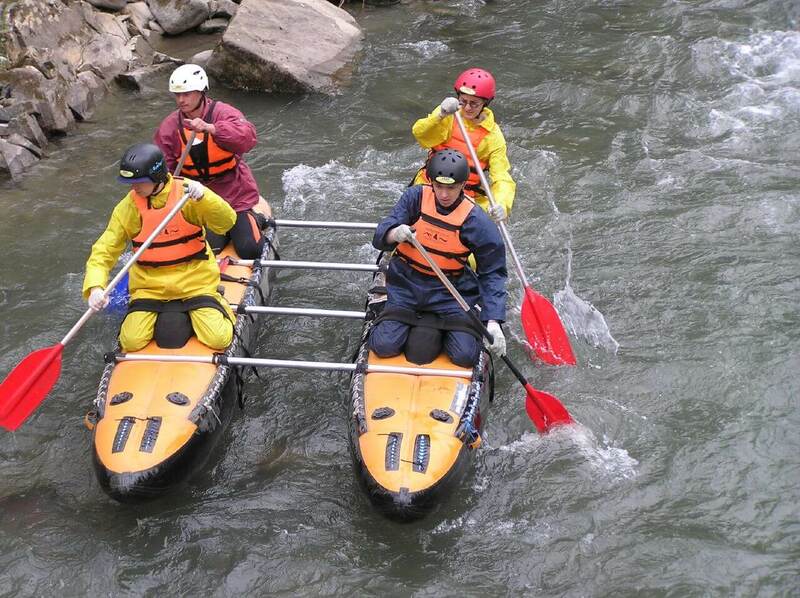 Another option for recreation in the Carpathians are rafting tours. Rafting gives an unforgettable impressions and struggle with the water element gives the sense of your own strength and courage. Popular routes worked over the years, cover such rivers as the Cheremosh, the Tisa, the Prut, the Dnister. The best time for rafting – after heavy rains, when the rivers are abundant. The most affluent period is in late spring – early summer. You can raft on rafts, kayaks, catamarans, canoes. In the Carpathians there are flat rivers where newcomers will feel comfortable and turbulent mountain streams that will be appreciated by experienced rafters. Rafting is a good way to test yourself, get away from civilization and plunge into the wild nature of the area. Summer is the best time for walking tours on Montenegrin ridge, where you can enjoy the panorama of indescribable beauty. Montenegrin ridge includes all the highest mountains of Ukraine: Hoverla, Petros, the mysterious Black Mountain. 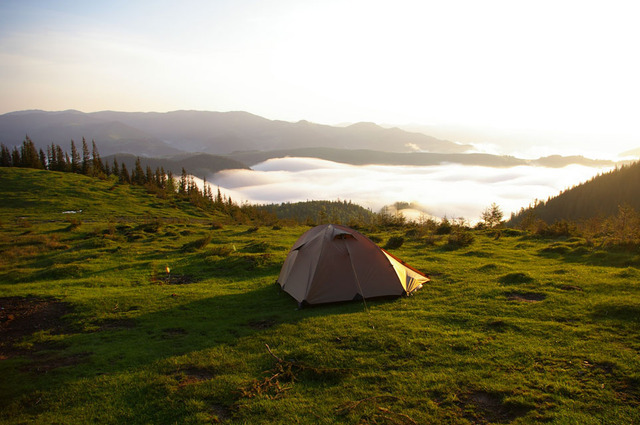 Mountain lakes, climbing to Hoverla (more than 2000 m), the highest point of Ukraine, beautiful sunsets – all these are waiting for you in a trip to Montenegrin ridge. This route is very popular, as it is available even for a novice tourist though the danger that might lurk in the mountains should not be forgotten. One should also keep in mind temperature changes in the mountains. The trip takes a few days that is why you need to have a supply of food, a tent and warm clothes. For those who do not want to tire themselves climbing on foot, there are numerous jeeping tours or snowmobile tours. You can easily find a suitable offer in our hotel. Jeeping is a good way to save time. Within a few hours you can visit places, which would take several days of hiking. The powerful SUV will easily overcome the lack of roads, steep descents and ascents. One of the most interesting routes passes through Marmarosh massif through the mountain Pip Ivan Marmarosky. River valleys, steep slopes and rocky peaks will not leave anyone indifferent. If you drive from Dragobrat ski resort through the mountain Stig, you can find the unusual Hereshaska lake at an altitude of 1577 meters. This pond has a rectangular shape and the water is always cold there. Seven meter high cascading waterfall begins a little lower than the lake.